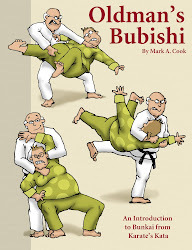 Prairie Martial Arts: Why at the Y? A friend asked me recently, "Why teach at the Y?". Though I didn't have a quick answer for him his question caused me to reflect a bit. 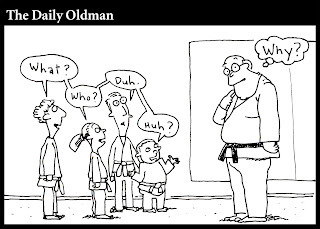 An even better question might be "Why teach Tae Kwon Do at all? 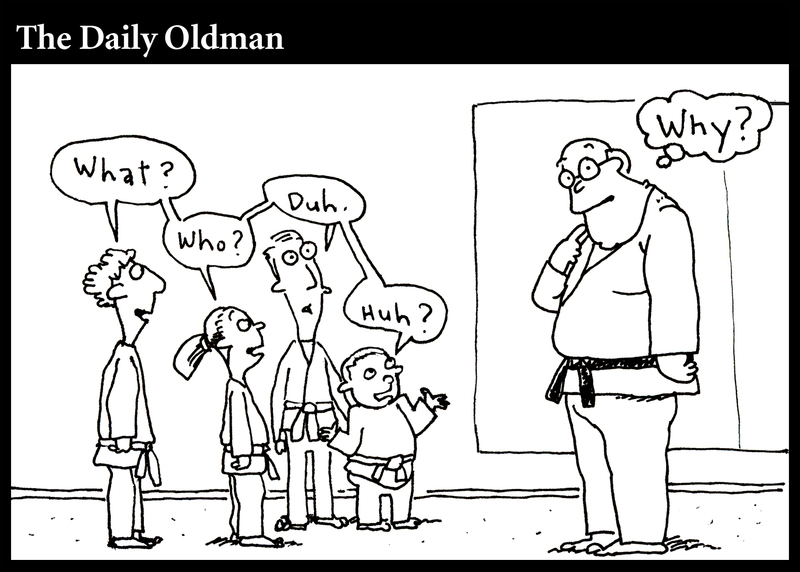 The world certainly doesn't have a shortage of martial arts schools. A brief look through the yellow pages proves that. Looking at the multitude of adds one could almost come to the conclusion you could not spill a Seven Eleven, Big Gulp without inadvertently soaking a world champion, Grand Master or even an Eternal Grand Master. Boy I really hate when that happens. All joking aside let's look at some of the reason's I teach. 1. Because I enjoy teaching (and learning). Many of the jobs I have had over the years have involved teaching. One of my first jobs was teaching tennis lessons in my home town growing up. As a teen and young adult I managed a skateboard park and pro shop. I also traveled with a skateboard team that did demos safety lectures. At Hallmark I have gotten to teach classes to other artists and even business people. 2. Because I don't have to (I want to). For me teaching is not a have to. It is a want to. I do not need the additional income that it brings in. Don't get me wrong, I enjoy the little extra that teaching brings in BUT, I do not NEED it. Because of that I have no need to sell, coerce or cajole. I don't need to bait and switch. I don't need anyone to sign a contract. I won't be offering Ninja Birthday Parties or hosting Karate Sleepovers. In each location that I do teach in the fee is set by the location that hosts it. Hallmark Cards Inc. is my full time employer and has been for 22 years. They pay me far more than they probably should to draw cartoons. 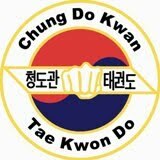 After work I teach and train Tae Kwon Do studets in the Hallmark Fitness Center. 3.Because it is good for me (and others). It keeps my mind, body and spirit active. It involves me with a wide and changing group of people in my community. I have had students that range in age from 6 to 63. I have had students that are male and female, black, white, Jewish, Christian, Muslim, Indian, ADD, OCD, ADHD, and Traumaticly Brain Injured. To spend time with this diverse range of people committed to common goals and the common good is, well... good. Training exposes me to new ideas and people. It helps me to understand myself and others better. As far as the benefit to my body? I'm no Navy Seal but I can keep training long after the college kid next to me is ready to throw up his RedBull. I'm 50 and I can eat like an Elephant and sleep like a baby. And more importantly than that, when I'm wrong I can apologize, and mean it. That may not seem like much when you are 25 and want to fight in the UFC but come see me when you're 50. 4. Because it works (if you work). I have seen unhealthy people get healthy. I have seen timid people learn to assert themselves. I have seen Men, Women and Children defend themselves from verbal and physical assault. I had a female student drop an attacker like a bad habit in a Walmart parking lot (sweeeeeeeeeet). I have even seen a mom understand conflict more deeply and grow in her ability to confront or stand her ground with a very strong willed teen. I've seen people win and lose and be alright with either outcome. I have passed tests and failed tests. I've seen boards break and I've seen hands break. 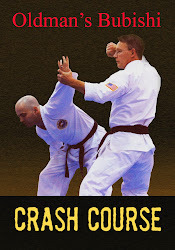 Tae kwon do is not a cure for every ill, a magic pill or a silver bullet. What is it? A sport? An activity or hobby? Yes, yes and yes. I think of it primarily is an art. 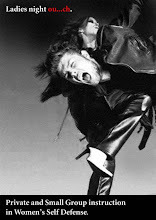 A Martial Art. It is a way to integrate our minds and bodies. It is a way to explore all of who we are and express what we find with power and purpose. 3. Everything I will learn from them.